We will NOT be letting your kids run the house! We are talking about handing off power and control over insignificant things. If we want to empower our kids, then we need to understand that we can’t control another person. It is not our job to control our kids, but to set our kids up in a way that teaches them how to control themselves. We can’t constantly tell them what to do and demand compliance without shattering their confidence and sense of significance. Our goal is to EMPOWER them in a positive way. To do that, we must focus on the things we CAN control; OURSELVES and the ENVIRONMENT. A decision-rich environment is one where you offer your child choices within boundaries you find acceptable. Do you want the red cup or the blue cup? Do you want to play inside or outside? Do you want to put your shoes or your coat on first? Which book do you want to read first (out of 2 choices)? What if your child refuses to make a choice or picks something that wasn’t a choice? 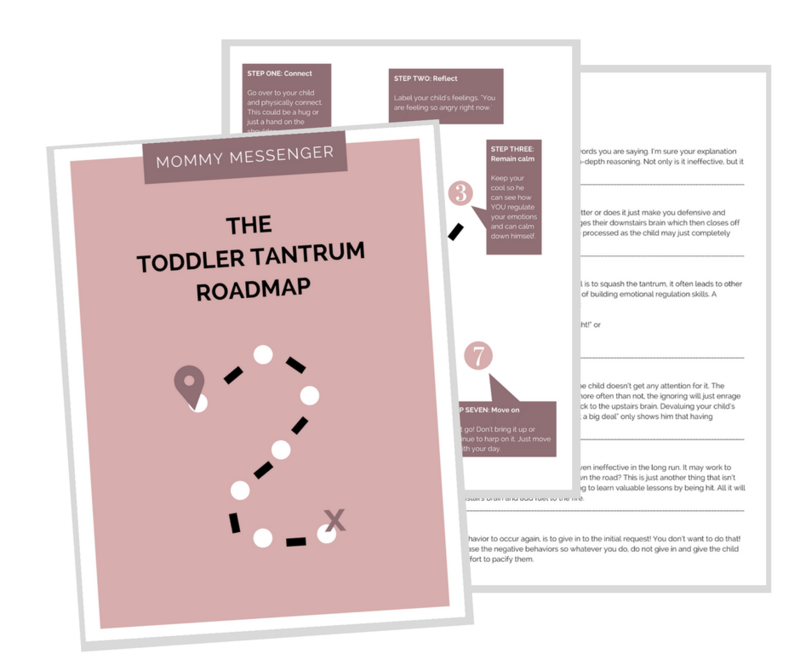 If a tantrum ensues, let it. For my kiddos with communication delays, add in visuals with those choices so they fully understand your question and can actively participate in the decision-making process. For example, when giving the choice of a red or a blue cup, show your child a picture of a blue cup and a picture of a red cup. Let them point to their choice. And on your end, always be sure to model the word and expand on it. You do not need to require your child to repeat anything. Keep it low-stress so it doesn’t turn into a power struggle. There are many power struggles that can be avoided simply by making some adjustments to your home. Get rid of the triggers that invite power struggles so your child can feel more secure and content in his space. Catch my drift? Don’t sit and wait for the power struggle/behavior to happen. Set up your environment for success. “But they need to learn consequences,” you say. Yes, they do. However, that’s not going to happen when they aren’t developmentally ready. Children under 2.5 years old don’t fully understand the concept of cause and effect yet, therefore consequences are pointless. Turn your space into a ‘YES space’ so your child can fully explore and learn in a stress-free environment. Increase independence by creating spaces that your toddler can easily access and navigate on his own. Your house is naturally sized for an adult, so think of ways to make it so your child can take on some responsibilities independently. Check out more ways to make your home more kid-friendly HERE. If you want to see a radical behavior change in your child, then you must empower them each and every day. Regain control of your home by handing off some positive power and control.